When we speak about ‘Taj Mahal‘, the image that is created in one’s mind is of a beautiful white domed marble mausoleum representing the essence of Mughal architecture. And in front of it is a large garden with a reflecting pool dividing it at the center. A monument that symbolizes love standing the test of time. 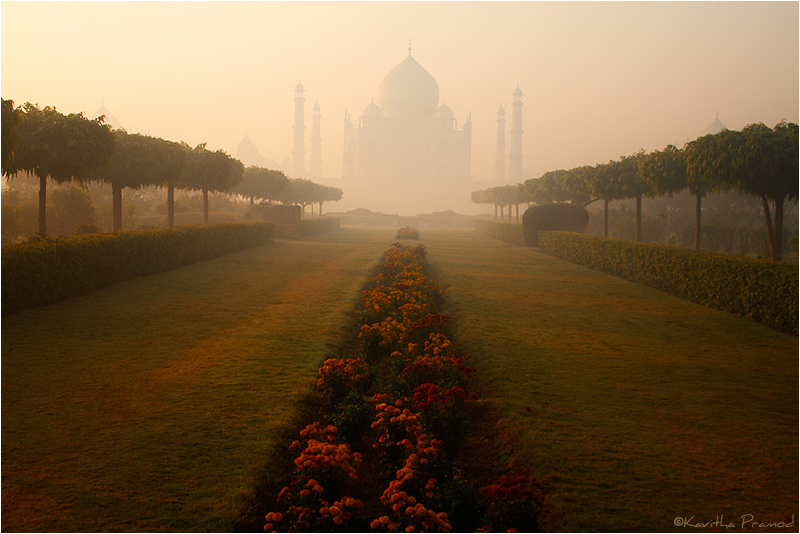 It was on 24th Dec 2011 foggy morning, we visited this beautiful white marble Mahal – located in the heart of Agra. From the main entrance, after walking for about a kilometer, we could see the main gate of the Mahal with a mosque on the left and a guest house/meeting house on the right. These symmetric structures on either sides seemed to be built to beautifully balance the great monument. Many neither observe the guest house and the Mosque on either side nor think about symmetry. As we moved further, it was a lovely view of an elaborate garden with colorful flowers in front of us acting as a foreground to the colossal Mahal and a water tank bisecting this garden of flowers. As I stood in front of this huge mahal perceiving its lovely reflection in the tank, it was a very blissful experience to me. Taj Mahal has been built on a square pedestal, which I guess is about 8 to 9 ft above ground level. The intricate designs carved on the entire monument – dome, windows, walls, minaret, roof, floor, spandrel, sepulture will definitely make a viewer dumbfounded. The structure is planned and designed so well that there are even pipes connected to outlet the water that enables draining of rain water. Wow! What a planning during 16th Century, we wondered! We were intrigued by the amount of hard work that would have gone behind building this monument. We really have to admire the patience of a person who did the carvings! We were also amazed by the cost involved in building this priceless monument in memory of his third wife, Mumtaz! But this posh monument made me to contemplate about my previous day’s view of Taj Mahal from the banks of river Yamuna that gave me totally different perspectives. 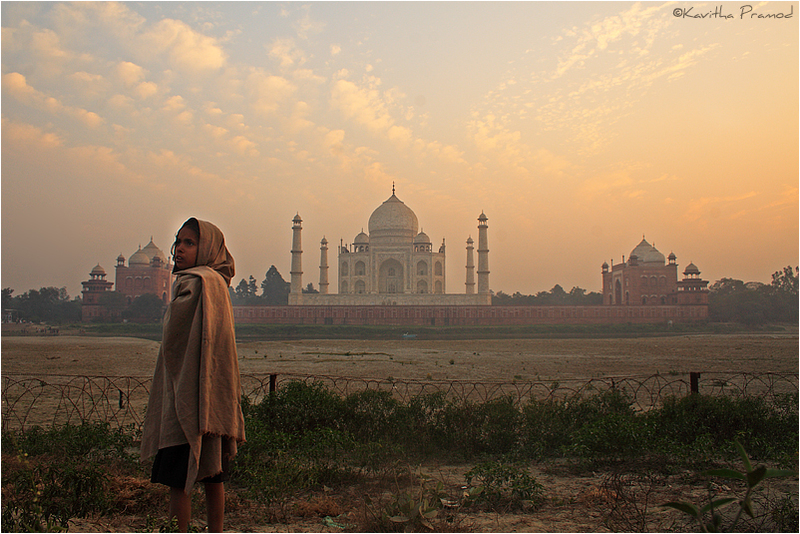 It was Friday the day before and the Taj Mahal was close for public. So, we decided to witness the glory of Taj from river Yamuna on the opposite side of the main entrance – from the Mehtab Bagh. Going back to my Social Studies class, in 16th century when Taj was built, Yamuna River added beauty to Taj Mahal. Now as I witnessed it in real, today in 21st century, the river is completely polluted and contradicts what I had read in books during my child hood. Also, the condition of the people and children who lives on this side of Agra is really bad. Quality of life is very poor! It was heart wrenching to me. Cute little Kids were carrying logs of firewood, some kids were shepherds, some were even begging for money with the tourists who visited the place. Taj’s front view and rear view seems to be very different. I was left with thoughts – During 16th Century the kingdom was so rich to build a grand monument for king’s 3rd wife, who was dead. But in 21st Century, as a contradiction of life, I see kids who are so poor and live in Jhonpdis (huts) , forced to work when it is age for them to go to school and enjoy their childhood! Facts and face of real India! And there are many rivers like Yamuna, beauty of which is almost destroyed due to our indomitable greed. So, finally while leaving Taj, I kept asking myself the question – Is it just an illusion about we getting technologically advanced day by day, but in reality are we moving back in time? With that thought, I would encourage you to share your thoughts on this first post of mine. I will be back with my next blog post very soon talking about another experience that I had during the course of time. Good to see you blogging, Pramod. I like the name of the blog, too. 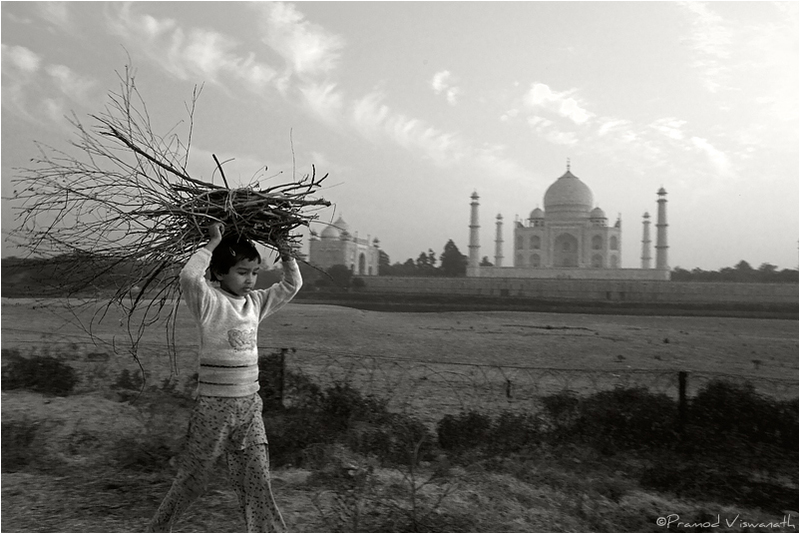 Nice opening post here; I especially loved Kavitha’s image of the Mehtab Bagh and your portrayal of the contrast that is inherent to India’s social and economical fabric. Will look forward to more posts. Nice to see you blogging! Some very nice images there. Loved the mood in the first two images and the contradictions in the rest. It is nice to see a love monument which creates feeling of love and imagination that you have quoted “couples seemed to be considering themselves as Shah Jahan and Mumtaz posed to capture their photos in front of the Mahal”. Got good feelings after reading your blog and remember the days when I had visited. 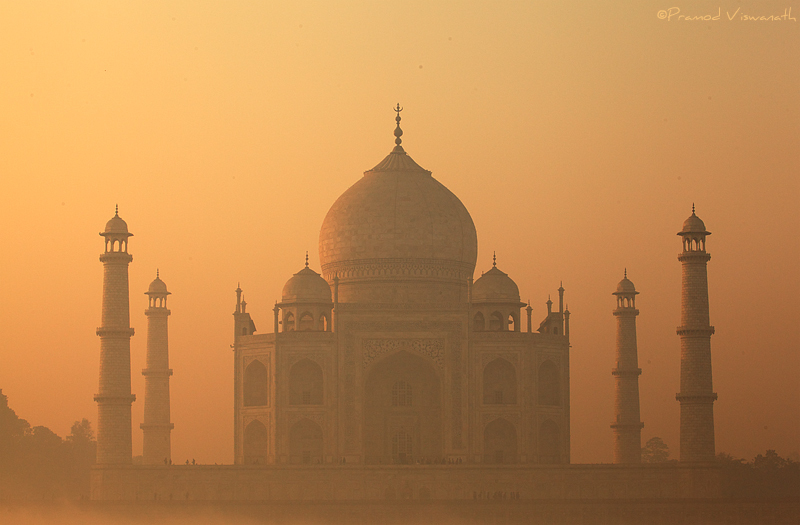 Generally people see only TAJMAHAL and you have described in and around, that is the best part of the blog. Keep writing :). very impressed kavitha…not only by the photograph per se…but the story told at a single glance..to bring together contrasting emotions of romance and grandeur of yesterday,and a shamefull helplessness and quiet anger..of the reality of today …an uncertainity of foggy misty tomorrow..in the context of a monumental wonder of the world!!!! Pramod..this girl by ur side is going places..ull have to run to keep pace!!!hahaha! Excellent pictures Kavitha! Nice writeup! Keep going … Keep sharing … All the best!